On October 14th, 1066, King Harold II, the last Anglo-Saxon King of England, was defeated by the Norman forces of William the Conqueror at the Battle of Hastings. According to legend, at the end of a bloody, all-day battle, Harold was shot in the eye with an arrow and killed and his forces were destroyed. Just over two weeks earlier, William, the duke of Normandy, had invaded England, claiming his right to the English throne. According to Norman historians, Edward the Confessor, the childless English king, had promised to make his cousin William his heir. On his deathbed, however, Edward changed his mind and granted the kingdom to Harold Godwine, head of the leading noble family in England. In January 1066, King Edward died, and Harold Godwine was proclaimed King Harold II. William immediately countered his claim. On September 28, 1066, William landed in England with approximately 7000 troops and cavalry. He seized the town of Pevensey then marched to Hastings, where he paused to organize his forces. 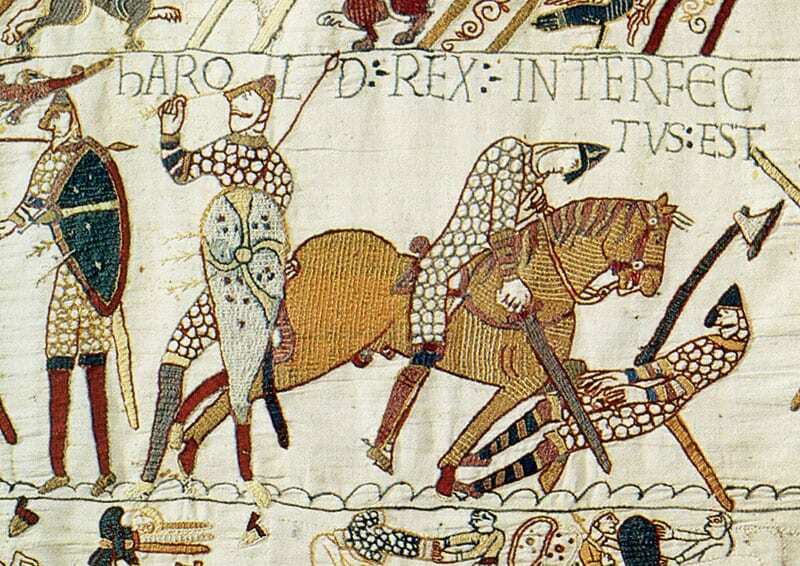 On October 13, Harold arrived near Hastings with his army, and the next day William led his forces out to give battle. After his victory, William marched on London and received the city’s submission. On Christmas Day, 1066, he was crowned the first Norman king of England and the Anglo-Saxon phase of English history came to an end.